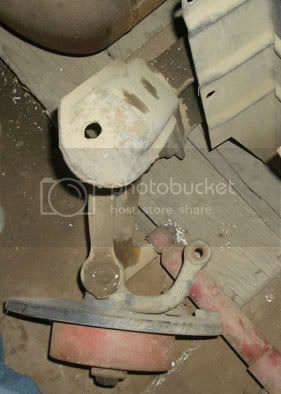 heres the other front end I found, guess its a ball joint also. The second front end has disk brakes, Go with that one if you have all the parts. Well first of all the second beam is from a ghia. type 1 front end with disk brakes. other than having it cut and turned while it is out. But if you want the disks just switch the spindals. interchangeable.